Welcome to Cochrane Christian Academy's website! I am glad you found us. 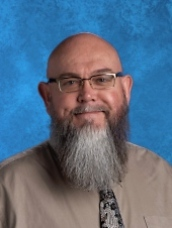 It is my distinct pleasure to welcome you to Cochrane Christian Academy's website. I hope you enjoy your tour and get to know us better as you navigate through our various menus and pages. The best part about CCA is people. We have a fantastic team of educators who love the Lord and model a biblical worldview to students on a daily basis. Each emulates passion for the Lord, God's Word, and serving students and families. As a team, we endeavor to partner with parents in preparing students to serve and succeed in the 21st Century. Whether this involves imparting a biblical worldview of a current issue or event or embracing learning through technology and today's 'cultural tools', CCA learners are building their capacity to be knowledgeable, skilled, and vibrant followers of Jesus Christ who contribute to their community in meaningful and valuable ways. Cochrane Christian Academy is a Rocky View Schools learning community that serves students and families from Cochrane and surrounding area. As a public school, all families are eligible to register at CCA. Click here to learn more about the values, beliefs, and Christian school distinctives, or you can navigate to our 'Registration' button on the home page. There you will find school information, testimonials, and forms. Contact us for a school tour to learn more about us and find if CCA is the right fit for you and your family.